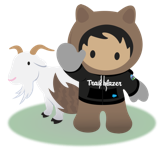 Some customers have observed that after the first authentication of a user in Lightning for Email, the following error is thrown when pulling metadata using the Salesforce CLI. ERROR: Entity of type 'AuthProvider' named 'Lightning For Gmail' cannot be found. 1. Open a scratch org and go to "Setup"
2. Search for "Gmail" in Quickfind and select "Lightning for Gmail and Sync"
3. Enable "Let users access Salesforce records from Gmail"
After the login, the above-mentioned error appears on sfdx force:source:pull.